GOODBYE DOWNTIME, HELLO LONG SERVICE LIVES! It was during a period of production downtime back in March 1998 that the close and enduring partnership was first forged between Comau, a leading robotics manufacturer in the automotive industry, and the robotics cable specialists Lapp Muller (part of the Lapp Group). When the cables from Lapp’s competitors used in the Comau production robots failed and vehicle production in a Turin plant ground to a halt, a solution had to be found – and fast. The specialists from Lapp Muller came to the rescue and their innovation marked a significant moment in the history of cables. High torsion, tight bending radii, extensive continuous use: robot cables have to withstand high levels of stress. Losses in the event of production downtime can quickly run into millions. The problems with the flexible cables and controls on the Comau production robots needed to be brought under control as quickly as possible. This was a challenging task, and one that carried a lot of responsibility. It soon became clear that no standard solution was available that would suit the particular production requirements. As a result, it was necessary to develop a total of nine different cables from scratch. It also came to light that the cables previously installed were not only unsuitable but also incorrectly fitted. They were crossing over each other, causing high mechanical stress. In view of this discovery, Lapp Muller also proceeded to install the newly developed cables on the robots without delay. 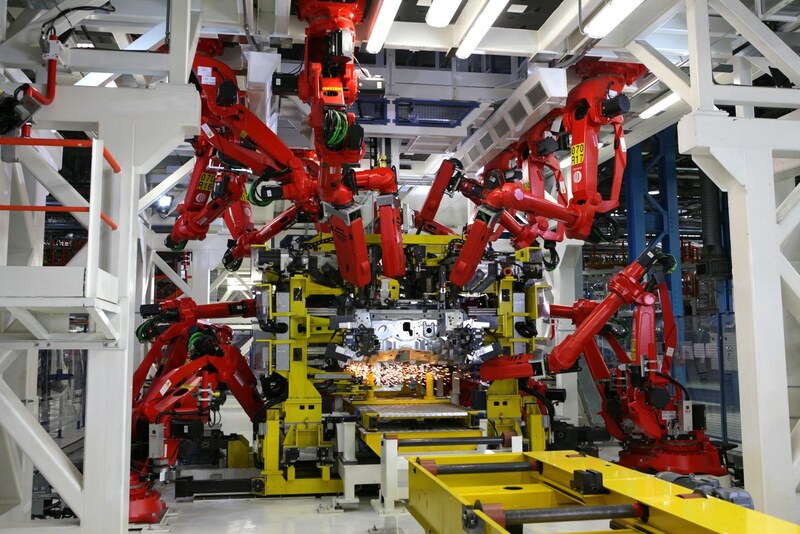 Instead of using standard solutions, the cables were tailored to suit the individual requirements of each robot. As a result of this long-running trusting partnership between the two companies, all Comau robot arms are now equipped with a total of five different hybrid cables for the moving applications. These events led to far-reaching improvements in cable engineering in the high-end sector, as well as unprecedented durability. Thanks to exact tailoring to individual customer requirements, Comau can provide a guarantee lasting a full eight years for its hollow wrist production robots. This equates to the full life cycle of a car and for Comau represents an important competitive advantage; the standard guarantee for robots with external cabling stands at just one year. Cables for hollow wrist robots are subject to particularly high levels of stress: all cables are located completely inside the robot arms. This saves space but means that the space for the cables is very limited, requiring exceptionally small bending radii of a maximum of eight times the external cable diameter. The tighter the bending radius, the greater the stress on the cable and the more difficult it is to achieve the long service life required. For years now, Comau has been working closely together with the development department of Lapp when developing each of its new robots to prevent problems further down the line. 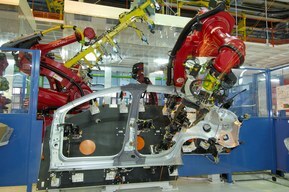 Comau is one of the most well-renowned robot manufacturers for the automotive industry. The latest production solution from Comau is called OpenRoboGate, which is used at the Fiat plant in Melfi amongst others. Up to six different vehicle bodies can be produced in an arbitrary sequence at the plant in Southern Italy. The speed is also highly impressive: the robots require less than one minute per body.